Create the best curry and save a restaurant. Aksys Games is bringing Sei Madou Monogatari, Compile Heart’s rogue-like dungeon crawler for PS Vita, to North America in early 2014 as Sorcery Saga: Curse of the Great Curry God, the publisher announced at Anime Expo in Los Angeles. To graduate from the magic academy, Pupuru has to retrieve the Madokyuu from the Mado Tower. However, instead of the relic, she finds a book full of curry recipes inside and releases Ku-chan, a strange creature. For this, she is suspended from school. However, she isn’t the type to mope around, since a curry restaurant near the school is facing a crisis, she decides to use the recipes in the book to create Mado-Curry to save the restaurant, and for that, she needs four legendary ingredients. But standing in her way is an evil lord determined to marry her, a jealous witch who sees her as a rival and perverted wizards and heroes. 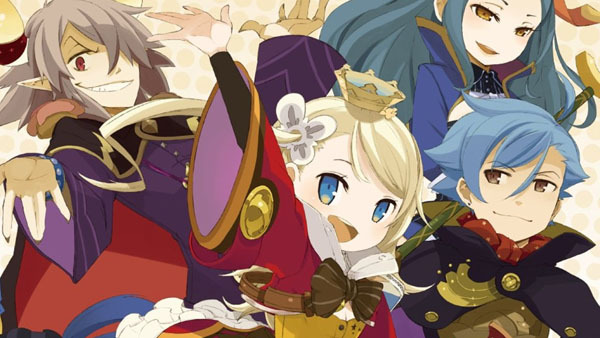 Sorcery Saga first launched for PS Vita in Japan on March 28.